Product #22050 | SKU NKE6S-5-WOC | 0.0 (no ratings yet) Thanks for your rating! 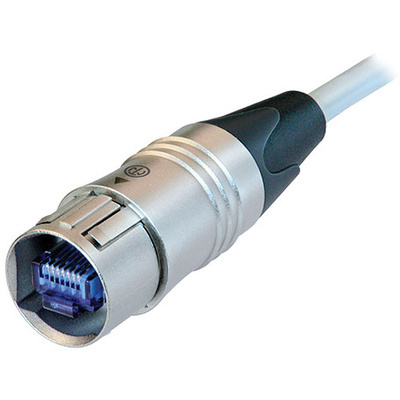 The preassembled 16.40' (5 m) etherCON Cat6 Patch Cable with Cable Plug Carrier on One End from Neutrik is a shielded S/FTP cable with a cable plug carrier, which offers a robust metal shell and push-pull locking system. It provides data transfer rates of up to 10 Gbps. Moreover, the cable's shielded system provides high noise immunity and EMI protection.